We are headed on a road trip to Virginia Beach at the end of the month. 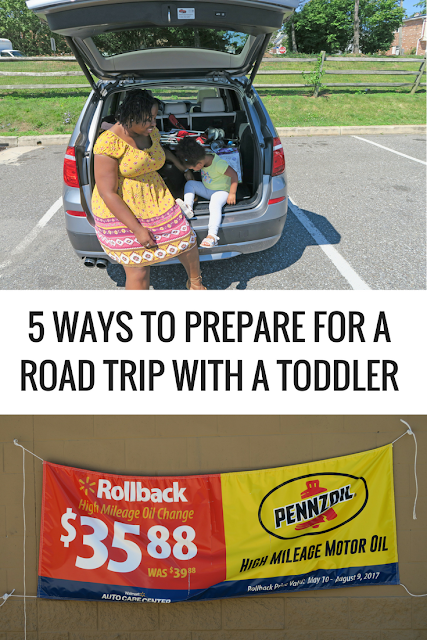 This will be our longest road trip with a toddler! Road trips with a toddler can definitely cause a bit of trepidation so we're planning early to make the trip go as smooth as possible. Make sure your car is in good working order. No matter how much you plan, an unexpected detour to the side of the road can throw all of your preparation out of the window. Make sure your car is in tip-top shape. 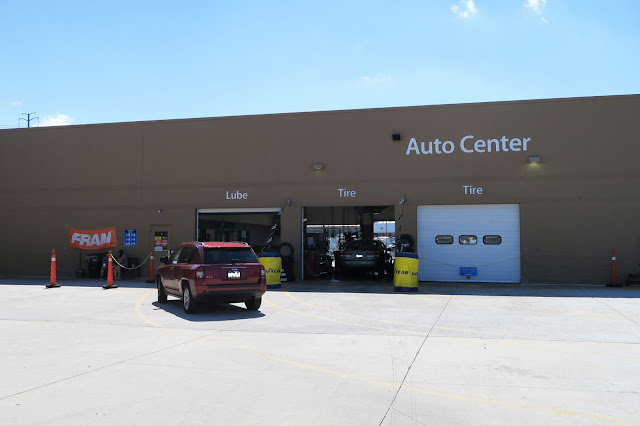 I took my car to Walmart's Automotive Care Center to get my oil changed with Pennzoil® High Mileage Vehicle® motor oil. 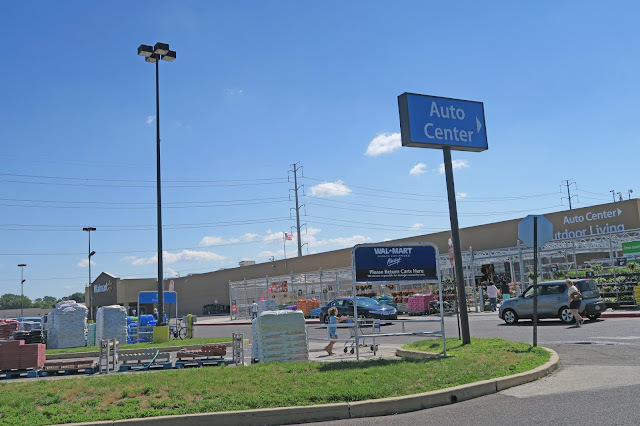 The great thing about dropping your car at Walmart's Automotive Care Center is that you can get your road trip shopping done while your car is being worked on. Definitely a time saver. The mileage on my car just passed 75,000 miles so opted for the Pennzoil® High Mileage Vehicle® motor oil which is specifically designed for vehicles with over 75,000 miles, with the mission of keeping engines running clean and going strong. Visit the Walmart Automotive Care Center Rollback page for the current discount. A great trick for keeping your toddler entertained on long trips is having a stash of new small toys that you can pull out when you feel their patience is getting low. Choose toys of their favorite characters or with a mechanic that you know they like. You don't want something with many pieces that your child could drop in the back seat. Great choices are a small doll with a brush so you child can brush their hair, small coloring books with just a few crayons, toys that function with magnets so they stay together well, etc. If there is ever an occasion for screen time it is when you're on a road trip with a toddler. Stock up the iPad or similar device with their favorite games and if possible new episodes of their favorite shows. If there aren't new episodes choose their favorite episodes and episodes that deal with travel, road trips, waiting, and patience. You can also choose episodes that relate to where you are headed. Going to a beach destination? Choose the beach episodes of their favorite shows. Headed to an amusement park? Find the episode where their favorite character rides a roller-coaster. This way you can engage them in conversation about where they're headed. Snacks are essential on a road trip. Something about sitting still makes toddlers more hungry than usual. Pack your child's favorite snacks, but nothing that is too messy. We love pouches and beanie snacks. To make snack distribution easier pre-pack one serving portions so that you can easily hand your child their food at snack time. Also included in packing snacks is making sure you have mess free cups on hand, at least two, one for water and one for another beverage. Of course, if you bring beverages into the equation you'll have more frequent bathroom stops so give beverages sparingly. We have a five hour ride ahead of us and we know there is very little chance that we'll be able to go straight through without giving our toddler a break to run around a bit. Research rest stops ahead of time but also be flexible to your child's disposition and possible naps. We're planning for a stop at rest stops that offers picnic tables and space to run around or a restaurant with an indoor play space. Knowing where these stops are ahead of time gives you some options to choose from when you make your stop, which you should plan for after your child wakes up from a nap, or after around two and a half hours for us on this five hour trip. 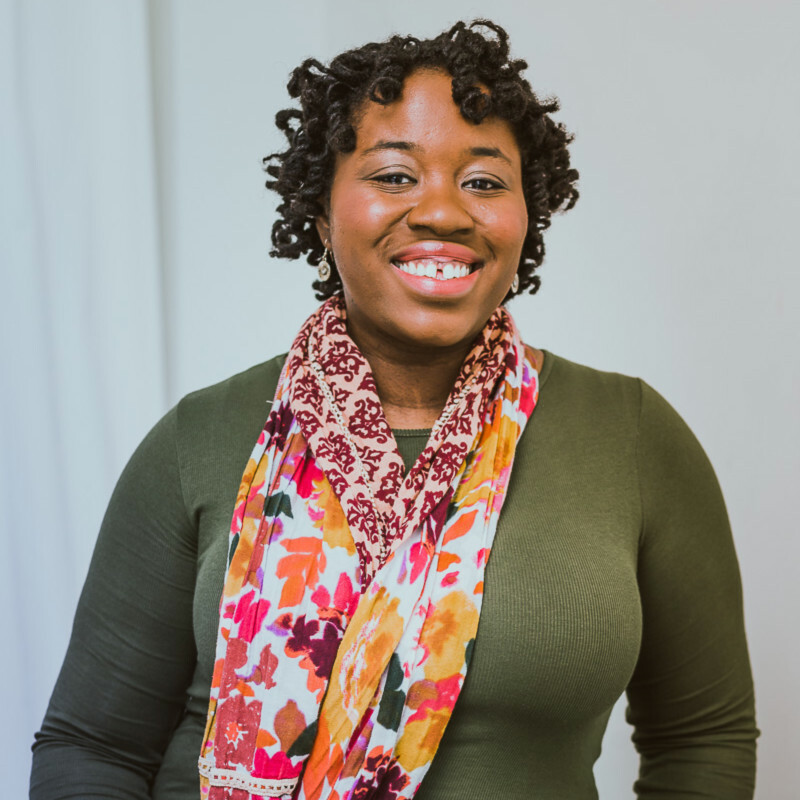 I don't want to feel like I can't travel until my daughter is older. 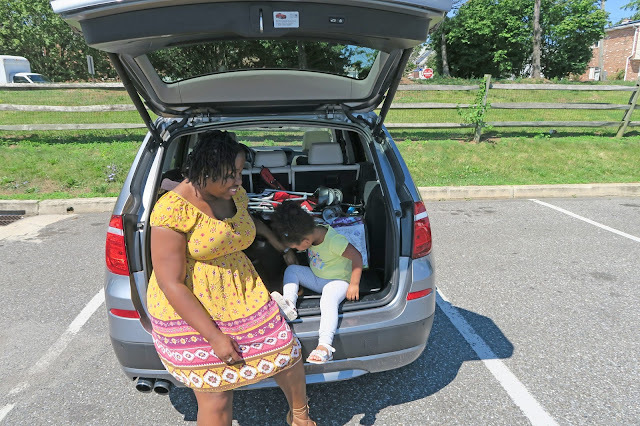 With these strategies on how to prepare for a road trip with a toddler I feel like we'll have a great road trip and a fun time together once we reach our destination. Thanks for the tips! I'm sure traveling is hard. I haven't tried to road trip with my toddler yet but this is useful. I guess I never thought of planning rest stops ahead of time. These are great tips, thank you for sharing! We haven't gone too far with the toddlers yet but I know we will be soon so it's good to be prepared! Love these tips! The last thing you want to happen is to be left with a screaming toddler in the car! I never envy people traveling with kids as both parties always look so miserable. But! I recently went to France from the Caribbean and it took me about a day to get there. There were families on the same trip and the kids did SO well! I'm guessing they took some of your stuff and applied it to a flight! I can't imagine being on a whole day flight myself, thinking about it with children OMG!